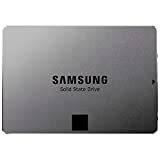 Amazon has the [DISCONTINUED] samsung 840 evo 500GB 2.5-Inch sata iii internal ssd (MZ-7TE500BW) for $249 with free shipping. Sells for $272+ Highest Price. Deals for $175 Lowest Price. Normally $226+.